The Lennon Singles Bag – Whats Inside? Happy Record Store Day for last weekend (Saturday, 17 April)! 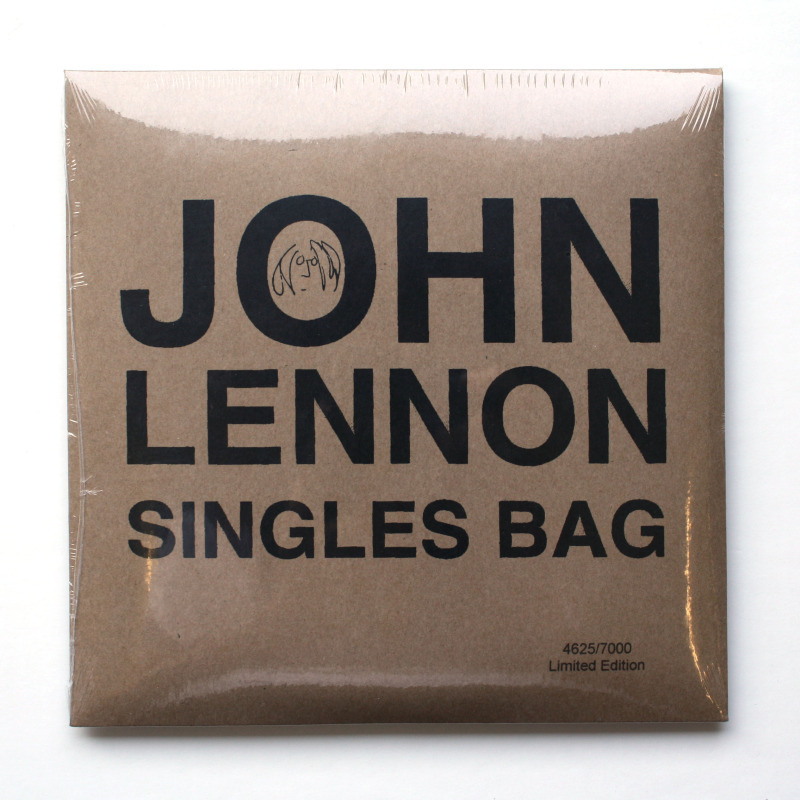 I managed (through my friendly local independent store, Red Eye Records) to get a copy of one of the special releases produced just for the weekend: The John Lennon Singles Bag. See this post and this post for information on this very limited edition. Apparently there are just 7000 of these packs made for the world…..mine is number 6644 of 7000. Not a low number, but it has a nice ring to it! Like this one, mine is still sealed – and I hope to be able to keep it that way – though it is really tempting to open it to see whats inside…. Fortunately, someone has opened theirs and put up this slideshow that gives a good indication. This entry was posted in Beatles, Beatles Collecting, Beatles Music, Beatles Related, John Lennon, Rare Beatles, Uncategorized and tagged Apple Records, Beatles, Beatles Collecting, Beatles Related, John Lennon, Record Store Day, Vinyl box set, Yoko Ono by beatlesblogger. Bookmark the permalink. Luckily someone else took the fall for you and posted those pics. I like the 45RPM hub!